The classification of solid-state materials by the mathematical concept of topology revolutionized condensed matter physics in the past decade, as recognized by the Nobel prize in 2016, and lead to the discovery of a plethora of previously unknown topological materials and quantum phases. Topological materials exhibit surface states with unusual physical properties. For example, in so called topological insulators (e.g. Bi2Se3) no electric current can flow through the crystal, but the crystal surfaces conduct current almost perfectly. Intriguingly, due to the non-trivial topology of the crystal, surface electrons moving in opposite directions have exactly opposite spin, a property called helicity, and an electrical current is always accompanied by a spin current in the same direction. Unlike in other materials, the surface states are stabilized against material imperfections or external influences by the topology of the crystal. Therefore, these helical surface states are of interest for realizing robust spin-based quantum information application, potentially up to room temperature. For integrating topological insulator materials into electronic circuits, it is important to be able to read-out the surface conductance independent of a residual bulk conductance. 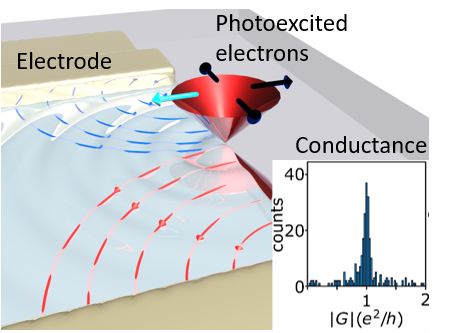 In previous studies, the researchers already successfully used so called scanning photocurrent microscopy to image the effect of disorder on the surface conductance of topological insulators. [2,3] In the current study, where they imaged the current distribution in a field effect transistor made from the topological insulator Bi2Se3, they made the surprising discovery that, at the edges of the device, electrons showed a well-defined conductance which precisely matched the conductance quantum e²/h. This finding directly showed that the detected current was carried by a single, spin-helical surface mode, since in topologically trivial materials two spin-degenerate modes would add up to 2e²/h. They explain their findings in the framework of the so-called Shockley-Ramo theory, which has traditionally been applied to describe the signal formation process in particle detectors. In simple words, this theory states that, in a detector device, a moving charge creates a quasi-instantaneous macroscopic detector current parallel to the field lines in the detector. Therefore, the technique does not require a coherent transport of charge carriers all the way to the electrodes, in contrast to the conventional Landauer-Büttiker theory. Such optoelectronic schemes may provide a generalizable platform for studying surface state conductance in further topological quantum materials such as Weyl-semimetals and quantum spin-Hall insulators. Quantized Conductance in Topological Insulators Revealed by the Shockley-Ramo Theorem. Phys. Rev. Lett. 122, 146804 (2019). Chemical Potential Fluctuations in Topological Insulator BiSbTe3 Films Visualized by Photocurrent Spectroscopy. 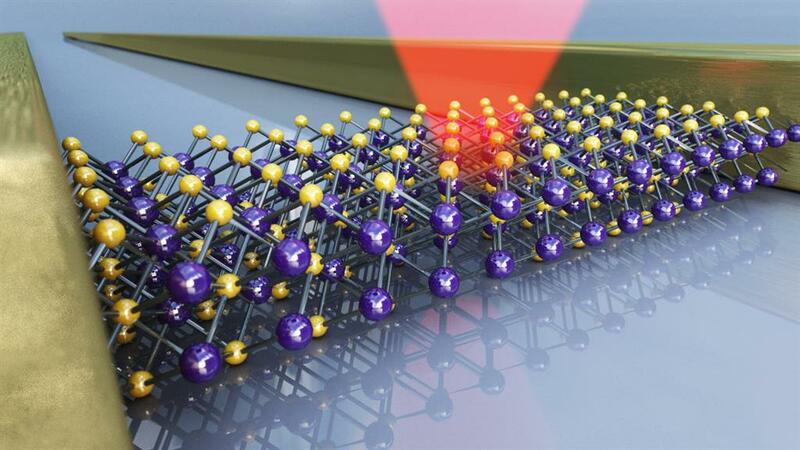 2D Materials 2 024012 (2015). Essential in the development of new ultrathin information carriers is the stabilization of the excited state, which carries the information. The NIM physicists Prof Ursula Wurstbauer, Prof Alexander Holleitner and Prof Alexander Högele now found a tunable method, even at room temperature. This enables applications in so called “valleytronics”. Important feature of semiconductor materials are their energetic properties, especially with regard to an application in optoelectronics and information technologies. 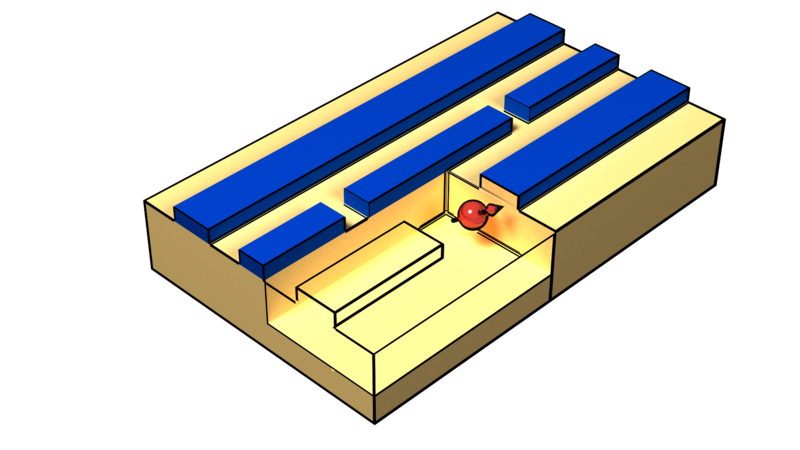 Light is used to optically generate the information within the semiconductor crystal. Irradiation with visible light excites a so called exciton, a mobile excited state that propagates like a wave. So far, in practice such excited, information carrying states of the exciton, also called valley polarization, were stable at low temperatures (100 K, liquid nitrogen) only. The NIM physicists Professor Ursula Wurstbauer, Professor Alexander Holleitner and Professor Alexander Högele now clarified the underlying mechanism resulting in the depolarization at increasing temperatures. In parallel, they developed a tunable method to suppress that process and stabilize the valley polarization at elevated temperatures (220 K) and even at room temperature. In Nature Communications, they present impressive results with an increased degree of valley polarization of 20 % and more. Molybdenum disulfide (MoS2) is a member of the emerging material class of two-dimensional transition metal dichalcogenides. Its properties include stability in the presence of oxygen, water and diluted acids as well as a high melting temperature. All making the semiconductor an ideal candidate in the development of new information technology devices. Additionally, even single-layered MoS2 is very sensitive to light-dependent processes. So called valley degrees of freedom, specific energy levels within the lattice structure, allow for valley-specific selective optical excitation and local increase of the charge density. Stabilization of the valley polarization is prerequisite for lossless devices and their commercial applicability. Theoretically, the valley polarization should be stable after the excitation with light at room temperature, in the practice this was not the case. The physicists now could elucidate the nearly-breakdown of the polarization of excitons in semiconductor crystals is due to the coupling of excitons to specific lattice oscillations, so called phonons. “One could picture the depolarization process, especially at elevated temperatures, as the coupling of around themselves rotating excitons and phonons,” Ursula Wurstbauer explains, “and this movement is propagating like a wave front on a water.” The coupling of the excitons to longitudinal optical phonons is called Fröhlich exciton-phonon interaction and enhances the depolarization. “Doping of the semiconductor with electrons can longlastingly suppress that coupling,” Wurstbauer describes the basis of the new strategy to stabilize the valley polarization.“Mechanistically, the added electrons shield the electrical field induced by lattice oscillations. Hence, the coupling of excitons is suppressed,” the physicist further explains, “Comparing the system to a water again, we fill the lake with electrons and thereby smooth the oscillations of the electric field. The scattering of a valley-polarized exciton on phonons after excitation with light is suppressed.” The gained basic understanding of the depolarization mechanism enabled the scientists to develop a strategy to stabilize the valley polarization. Doping of the semiconductor with electrons makes the depolarization process tunable. Another extra of their method is the reduction of scattering due to lattice imperfections and disorder. Extended defects such as dislocations are common in technologically important III-V semiconductors, and affect heat dissipation, for example, in nitride-based high-power electronic devices. For decades, dislocations were predicted to induce anisotropic heat transport depending on their direction, however, experimental observation has been still lacking. 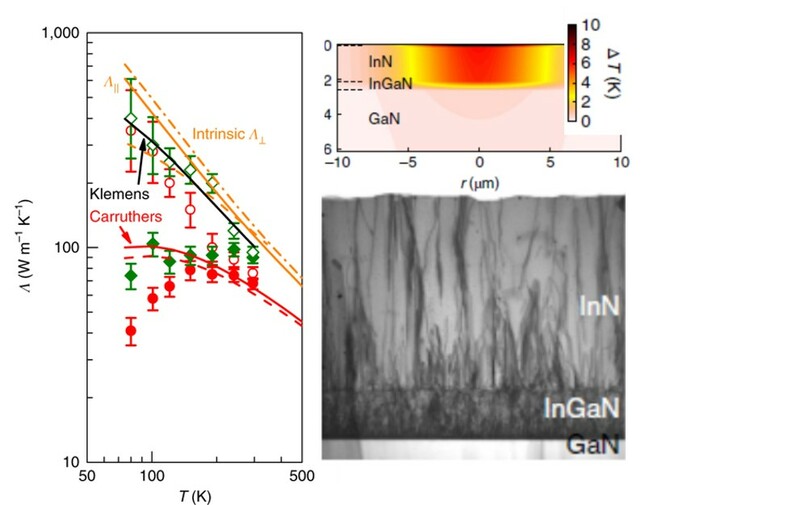 In a well-concerted collaboration between teams at the National University of Singapore (NUS), Oak Ridge National Laboratory (ORNL, USA) and WSI-TUM, highly oriented threading dislocation (TD) arrays were designed in few-µm thick, epitaxial InN (indium nitride) films for which the strong thermal transport anisotropy was measured for the first time using time-domain thermoreflectance. The results published in B. Sun, et al, Nature Materials 18, 136 (2019) show that the cross-plane thermal conductivity is almost 10-fold higher than the in-plane thermal conductivity for state-of-the-art TD densities of ~1010/cm2. With enhanced understanding of dislocation-phonon interactions obtained here, this work fuels the developments for directed heat dissipation in the thermal management of diverse device applications. Thomas Stettner and Daniel Ruhstorfer, both PhD students at the Walter Schottky Institute share a Best Poster Award that was recently awarded at the MRS Fall Meeting 2018 held by the Materials Research Society in Boston, USA (Nov. 25-30, 2018). The MRS Fall Meeting is one of the largest international conferences for materials research with over 50 symposia and ca. 6000 attendees annually. The awardees received their prize for their contribution entitled “GaAs-AlGaAs core-shell nanowire lasers on silicon” which was presented in the Symposium “Nanowires and Related 1D Nanostructures – New Opportunities and Grand Challenges”. Thomas Stettner and Daniel Ruhstorfer are both students supervised by PD Dr. Gregor Koblmüller at the Semiconductor Quantum Nanosystems Chair of Prof. Jonathan Finley at WSI. The institute mourns for Prof. Markus-Christian Amann. He passed away unexpectedly on 23. Nov. 2018. Prof. Markus-Christian Amann passed away unexpectedly on 23.11.2018 at the age of 67 years. Until April 2018 he was Full Professor for Semiconductor Technology at TUM and Director of the Walter Schottky Institut. G. Segev, J.W. Beeman, J.B. Greenblatt, & I.D. Sharp, Nature Materials (2018). A press release describing this exciting advancement can be found here. WSI celebrates successes in Excellence Initiative ! The e-conversion Cluster of Excellence explores ways to deliver a stable, efficient and sustainable supply of energy by combining nanoscience with energy sciences. This cluster focuses on the energy conversion processes of different technologies – from photovoltaics through (photo-)electrocatalysis to battery technologies. To date, inadequate control of these processes in nanomaterials and at relevant interfaces has led to resistance, recombination losses or overvoltage, all of which compromise the efficiency of power generation. e-conversion will study the basic mechanisms of energy conversion with a time resolution in the femtosecond range. The findings will enable scientists to design and synthesize energy materials with atom-scale precision. The cluster will build an electron microscopy center in order to characterize the materials. Alongside WSI scientists, e-conversion will involve many TUM and LMU groups, the Max Planck Institutes for Chemical Energy Conversion (Mülheim/Ruhr) and for Solid State Research (Stuttgart). Breakthroughs in quantum mechanics have inspired everyday technologies such as microchips, computers and lasers. Quantum mechanics describes the physical properties of the smallest particles, and work in this area revolutionized the world of science in the 20th century. A technological leap forward is currently taking place known as “Quantum 2.0”. It is based on the use of superposition and entanglement of quantum states. The number of potential applications is huge, with ultra-high-performance quantum computers and secure quantum communication systems being just two examples. The objective of the Munich Center for Quantum Science and Technology is to further the scientific understanding of quantum mechanics phenomena and thus advance basic components, materials and concepts for quantum technologies. Interdisciplinary research extends from the analysis of entanglement in multiparticle systems to quantum chemistry, astronomy and precision metrology. 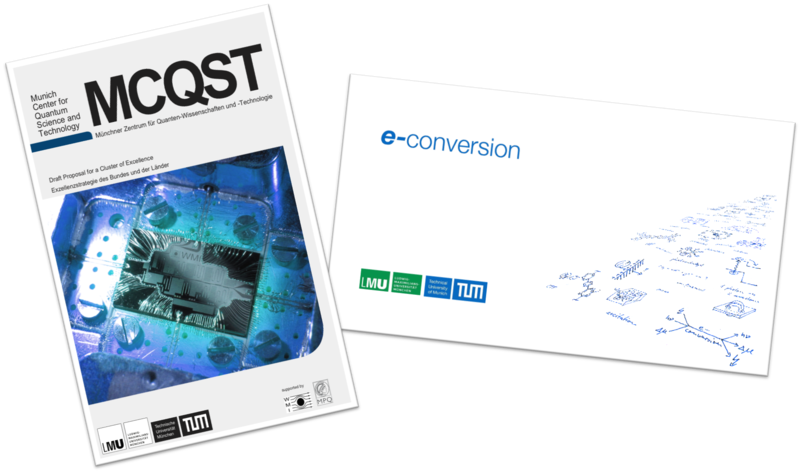 Alongside WSI Scientists, MCQST will involve many TUM and LMU groups working besides scientists from the Max Planck Institute of Quantum Optics, the Walther Meißner Institute of the Bavarian Academy of Sciences and Humanities and the Deutsches Museum. 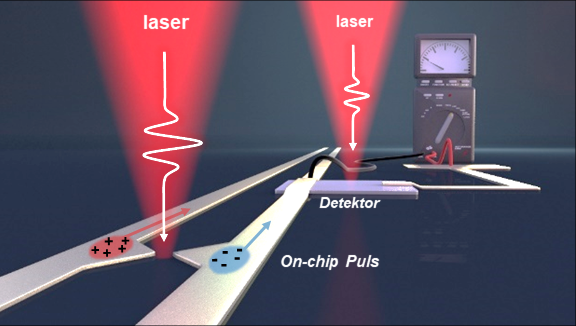 Towards femtosecond on-chip electronics based on plasmonic hot electron nano-emitters. C. Karnetzky, P. Zimmermann, C. Trummer, C. Duque-Sierra, M. Wörle, R. Kienberger, A. Holleitner; Nature Communications June 25, 9, 2471 (2018). The experiments were funded by the European Research Council (ERC) as part of the "NanoREAL" project and the DFG Cluster of Excellence "Nanosystems Initiative Munich" (NIM). The next generation of solar energy conversion systems requires the discovery of semiconductors with properties tailored to their desired function. In this pursuit of such new materials, detailed understanding of optoelectronic properties, driving forces for charge separation and extraction, and loss mechanisms that limit device performance is essential for achieving high efficiencies. However, few experimental methods are available for direct characterization of these fundamental processes in artificial photosystems that are designed to convert sunlight into fuels. 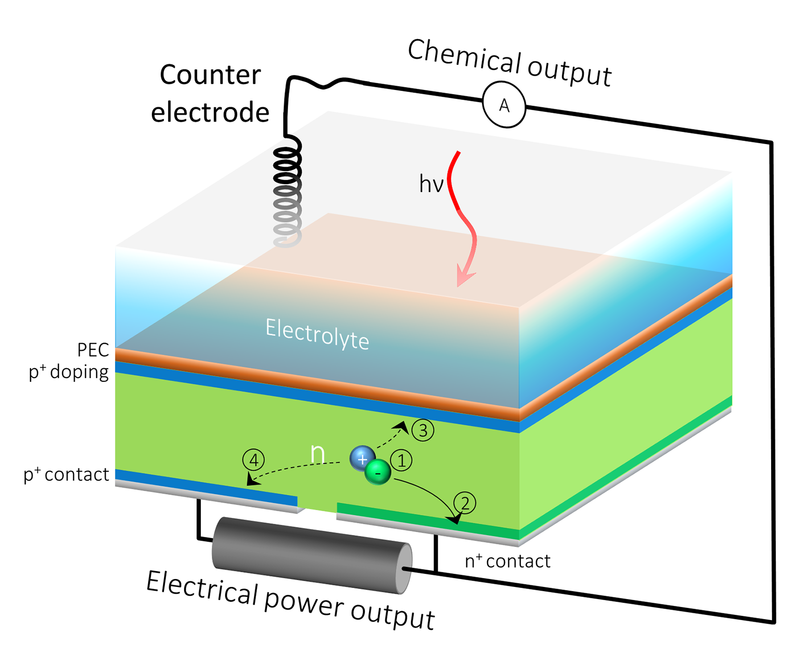 To overcome this gap, researchers are developing new methods for operando characterization of photoelectrochemical systems comprising illuminated and electrified semiconductors in aqueous environments that are incompatible with many traditional spectroscopic tools. Reporting in the journal Energy and Environmental Science, an international team of scientists working at the Walter Schottky Institute and the Lawrence Berkeley National Laboratory, led by Ian Sharp, have developed a new approach for identification and quantification of photocarrier transport and efficiency loss mechanisms in operating photoelectrodes with nanometer depth resolution. In their work, they applied this method to a newly identified and thus poorly understood semiconductor, copper vanadate, which possesses an ideal bandgap for photoelectrochemical energy conversion. 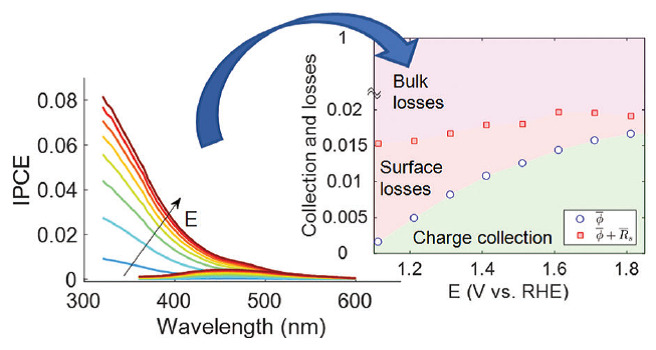 In doing so, they provided key insights into charge transport and loss mechanisms that are ubiquitous in a broad range of recently identified transition metal oxide materials. Such details regarding photocurrent generation and recombination at operating semiconductor/electrolyte junctions not only provide guidance to future material discovery efforts, but also motivate strategies for nanostructuring photoelectrodes, engineering interfaces, and integrating catalysts. More broadly, this work represents a significant leap forward in the ability to understand the key aspects of functional photosystems by probing the nanoscale life cycles of charge carriers in advanced materials interacting with complex environments. G. Segev, C.-M- Jiang, J.K. Cooper, J. Eichhorn, F.M. Toma & I.D. Sharp, Energy Environ. Sci. (2018) doi: 10.1039/C7EE03486E. A Consolidator Grant was awarded by the European Research Council (ERC) in its latest funding round to PD Dr. Gregor Koblmueller (WSI & Physics Department, TU Munich). Gregor Koblmueller received the award for his project QUANtIC which focuses on novel "Quantum Nanowire Integrated Photonic Circuits". Consolidator Grants are among the largest and most prestigious single-PI awards within the European research community and are given to outstanding researchers who have demonstrated independent and highly creative research. The award is worth nearly 2 Mio € and allows the recipient to conduct cutting-edge research on the proposed topic over the next five years. Gregor Koblmueller (picture) will use the Consolidator Grant to create and explore new links between semiconductor nanowires with precisely tailored quantum electronic properties and nanoscale integrated photonic circuits. The vision is to enable thereby highly deterministic and site-selectively integrated nanoscale coherent light sources, such as efficient nanolasers and single photon emitters, direcly on photonic and quantum photonic hardware. These integrated light sources are expected to provide novel grounds for future applications in the fields of on-chip light processing, quantum communication, as well as lab-on-chip sensing. Topological insulators are a fascinating group of materials. A spin-polarization occurs, as soon as an electric current flows in the material. WSI scientist Prof Dr Alexander Holleitner and his cooperation partners measured this now for the first time optically at room temperature. In particular, they succeeded to steer spin-polarized currents towards the edges by a circularly polarized light beam and to read-out the electron spin-polarization at the facets of the circuits. About ten years ago, scientists discovered a group of materials called "topological insulators" with unusual electronic properties. The interior acts as an insulator, but the surface conducts electricity better than average. The group of the NIM physicist Professor Alexander Holleitner (weblink: www.nanoptronics.de) has succeeded to guide electrons with opposite magnetization, in short spin-polarization, towards the opposite edges of a topological insulator. Key feature is that no external magnetic field is needed to generate this phenomenon. The opposite spin-polarization rather derives from an effect called spin-orbit-coupling. The direct coupling between the electron’s spin and the direction of the electron motion allows its manipulation. The physicists found this effect to be reversible. By inducing a certain magnetization with polarized light, they can control the electric current at the sample’s edges. Their results are presented in the latest issue of Nature Communications (Weblink: https://www.nature.com/articles/s41467-017-02671-1). Very small electric currents and their magnetization can be directly detected with polarized light. In the actual experiment, they contact a topological insulator between two electrodes and excite the material with a circularly polarized laser. By choosing the correct polarization, they can induce a magnetization in the material, as electrons with different spin can be excited selectively. Through a circuit, the scientists are able to track how a spin-polarized current at the edges of the topological insulator changes when they change the polarization of the light. In addition, the scientists observed the local magnetization of the topological insulator to change the polarization of the reflected light. Thus, they were able to directly detect the magnetization or spin polarization generated by the current flow. Quantum sensors can detect signals at much higher frequencies than previously thought. This is a finding that our quantum sensing group reports in Nature Communications this week. A novel sensing scheme based on this insight could lead to a new generation of quantum devices, such as detectors for single microwave photons. Philipp Holl and Friedemann Reinhard (quantum sensing group) have been awarded the Research and Solutions award of the trade fair Research and SolutionsRFID and Wireless IoT Tomorrow for their work on holography of wireless radiation. Congratulations! We extend a warm welcome to our new colleague, Prof. Ian Sharp, who joined the Walter Schottky Institute on September 1st, 2017. Prof. Sharp, who holds the Chair for Experimental Semiconductor Physics at the Technical University of Munich, pursues research into functional materials and interfaces for renewable energy conversion. His interests include development of artificial photosystems that convert sunlight into chemical fuels, synthesis and characterization of new semiconductors and nanosystems, and investigation of physical and chemical mechanisms of energy conversion. Before coming to the Technical University of Munich, Prof. Sharp was a Staff Scientist at the Lawrence Berkeley National Laboratory. While there, he served as Thrust Lead at the Joint Center for Artificial Photosynthesis and, in 2016, was recipient of the prestigious U.S. Department of Energy Early Career Award. From 2007 to 2011, Dr. Sharp was a post-doctoral fellow in the group of Prof. Stutzmann, initially as an Alexander von Humboldt Fellow and later as a Carl von Linde Junior Fellow of the TUM Institute for Advanced Study. It is a pleasure to welcome Ian Sharp back to the Walter Schottky Institute! 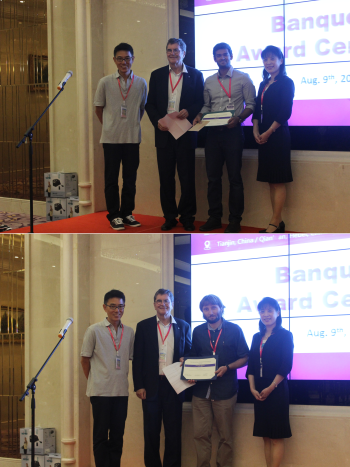 Ganpath Veerabathran and Alexander Andrejew, both doctoral candidates from Prof. Amann's group (E26) at the WSI, received Best Poster Awards at the International Nano-Optoelectronics Workshop (iNOW) in Tianjin, Qian’an & Chengde, China (2017). Ganpath Veerabathran's poster titled "GaSb-based vertical-cavity surface-emitting lasers at 4 μm using type-II quantum wells" was awarded the 1st place out of 42 posters. The prize consists of a certificate and carries a value of 400 USD. Alexander Andrejew's poster titled “Electrically pumped mid-infrared vertical-cavity surface-emitting lasers emitting at 3 μm” was selected for the ‘Honorary mention’ award. Jochen Bissinger, PhD student at the Walter Schottky Institut was awarded with the Best Poster Award at Nanowire Week 2017 in Lund Sweden (29th May - 2nd June, 2017). The Nanowire Week (combined 10th Nanowire Growth Workshop and 9th Nanowires Workshop) is nowadays one of the most significant international conferences for semiconductor nanowire-related research with over 300 participants annually. Selected from 180 poster presentations Jochen Bissinger received the Best Poster prize for his contribution entitled "Simulation of monolithically integrated Ga(Al)As-InGaAs core-multishell nanowire lasers on silicon waveguides". 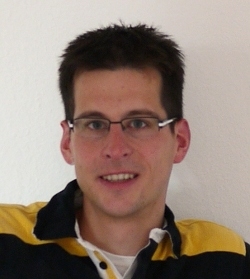 Jochen Bissinger is a member of the WSI Nanowire Group and is co-supervised by Dr. Gregor Koblmüller, Dr. Michael Kaniber, and Prof. Jonathan Finley. His PhD thesis work is performed in collaboration with the Electrical Engineering Department at TUM and is funded by the International Graduate School of Science and Engineering (TUM-IGSSE). The contribution "Selective Area Epitaxy and Growth on Patterned Surfaces of Indium Phosphide using LP-MOVPE for MIR-QCL" presented by Hannes Schmeiduch at International Nano-Optoelectronics Workshop 2016 (iNow) in München and Würzburg, has been award the 3rd "Best Poster Award" out of 38 posters. The research team consists of researchers from Chair E26 at the Walter Schottky Insitut/TU München (H. Schmeiduch, F. Demmerle, S. Saller, S. Sprengel, W. Oberhausen, R. Meyer, and M.-C. Amann). We especially thank Mr. Demmerle for his encouragement. The contribution "A few-emitter solid-state multi-exciton laser" presented by Michael Kaniber at "The 12th International Symposium on Photonic and Electromagnetic Crystal Structures (PECS-XII)" in York, UK, has been selected out of 40 posters for a runner-up poster award. The research team consists of researchers from Chair E24 at the Walter Schottky Insitut/TU München (S. Lichtmannecker, T. Reichert, M. Blauth, Dr. M. Kaniber, and Prof. J. J. Finley) and from the Solid-state Theory-group at Universität Bremen (Dr. M. Florian, Dr. C. Gies, and Prof. F. Jahnke). We thank the whole team for their efforts and great work! Congratulations! Julian Klein, Ph.D student at the Walter Schottky Institut, has very recently been awarded with the 1st price for his Poster contribution at the HeFib, "1st International Conference on Helium Ion Microscopy and Emerging Focused Ion Beam Technologies", in Luxembourg (June 8-10). His poster entitled "Optical properties of 2D materials exposed to helium ions" combines novel methods of nanostructuring performed by a helium ion microscope applied to semiconducting atomically thin 2D materials. Julian Klein is supervised by Dr. Michael Kaniber, Dr. Ursula Wurstbauer, Prof. Jonathan Finley and Prof. Alexander Holleitner in the Integrated Quantum Photonics Group at the Walter Schottky Institut. He investigates optical properties of atomically thin 2D materials in combination with plasmonic nanostructures. 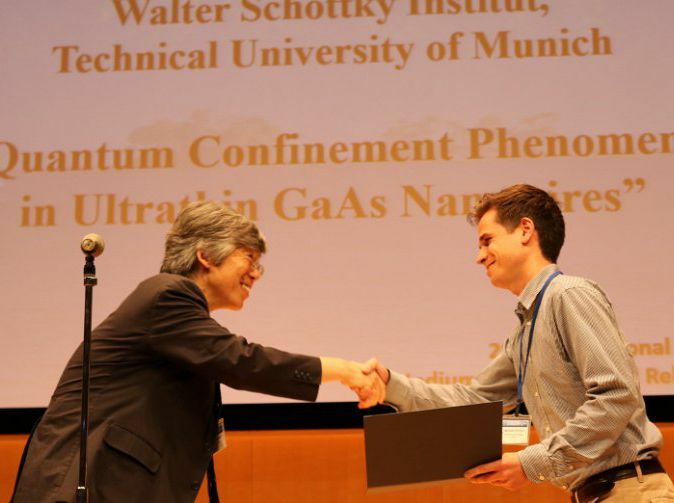 Bernhard Loitsch, PhD student at the Walter Schottky Institut won the Best Student Paper Award at the international Compound Semiconductor Week 2016 (CSW2016) held in Toyama (Japan). CSW2016 is a joint venue for the 43rd International Symposium on Compound Semiconductors (ISCS) and the 28th International Conference on Indium Phosphide and Related Materials (IPRM) and a premier forum for science, technology and applications in all areas of compound semiconductors. He gave an oral presentation entitled “Quantum Confinement Phenomena in Ultrathin GaAs Nanowires”. Based on an evaluation of the quality of abstracts and oral presentations by a panel of international experts, only three papers were selected from a large number of eligible contributions. Bernhard Loitsch is a student in the Nanowire Group led by Dr. Gregor Koblmüller at the Semiconductor Quantum Nanosystems Chair (Prof. Finley) and investigates growth, structure-property correlations, and advanced optical properties in III-V semiconductor nanowire systems in his Ph.D. thesis work. 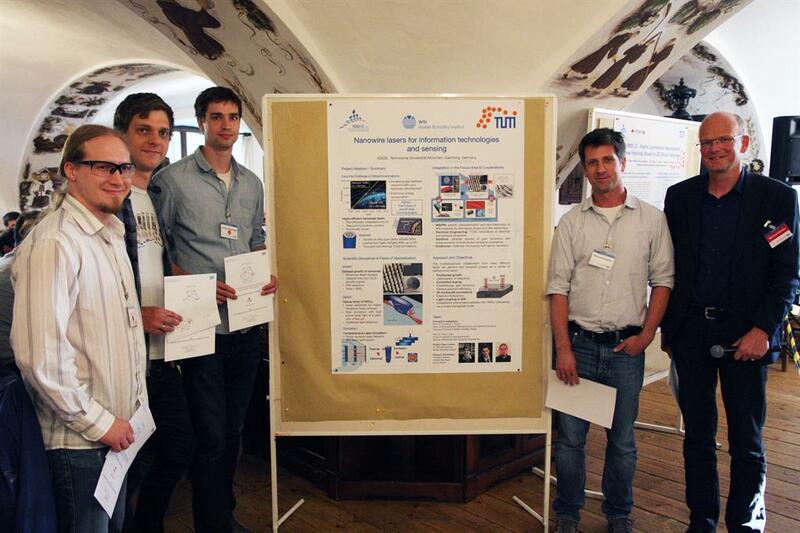 The “Nanowire lasers”-team (IGSSE Project 9.08) working at WSI-TUM (Chair Prof. J. J. Finley) and TUM-EE (Chair Prof. P. Lugli) were recently awarded the Best Poster Award at the 10th IGSSE Forum held in Raitenhaslach (June 1-4). The PhD students Thomas Stettner, Jochen Bissinger, Armin Regler and the Project Team Leader Dr. Michael Kaniber won the 3rd prize with their contribution entitled “Nanowire lasers for information technologies and sensing”. This collaborative IGSSE Project brings together students from the Physics Department/Walter Schottky Institut as well as from the Faculty of Electrical and Computer Engineering and explores the potential of III-V semiconductor nanowires as coherent light sources for applications in future optical on-chip and interconnects communication. Bernhard Loitsch, Ph.D. student at the Walter Schottky Institut, has received the prestigious IBM Ph.D Fellowship award. This is the second successful nomination after an initial award in 2014, which was followed by an ongoing scientific collaboration and mentorship with Dr. Heike Riel, IBM Fellow and Manager of the Nanoscale Electronics group at IBM Research – Zurich. The IBM Ph.D. Fellowship Awards Program is an intensely competitive worldwide program, which honors exceptional Ph.D. students with a $20.000 stipend for one academic year. 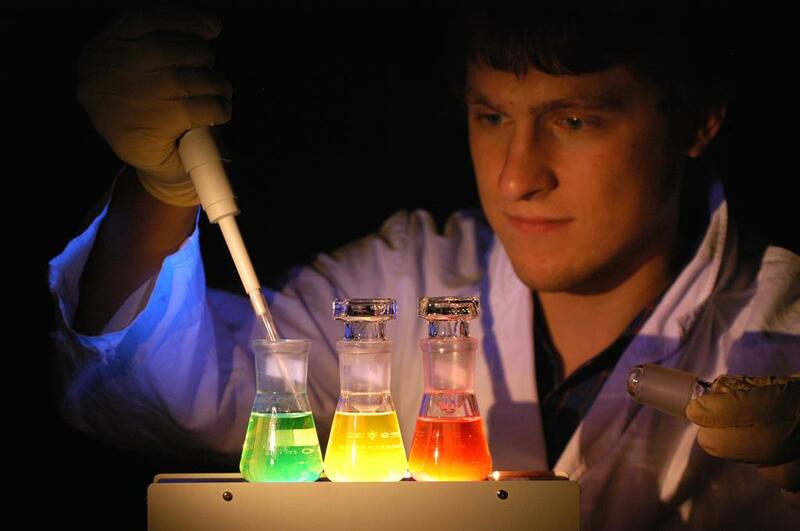 Bernhard Loitsch is a Ph.D. student supervised by Dr. Gregor Koblmüller and Prof. Jonathan Finley in the Quantum Nanomaterials Group at the Walter Schottky Institut. He investigates the epitaxial growth of GaAs-based nanowire heterostructures as well as their optical and electrical properties. Arnold Sommerfeld Prize 2015 for Gregor Koblmueller! Our congratulations to Gregor Koblmueller on being awarded the Arnold Sommerfeld Prize 2015 by the Bavarian Academy of Sciences for his leading work on the realization of Semiconductor nanowire heterostructures and their use for next generation electronic and photonic devices ! Gregor Koblmueller is one of the leading material scientists worldwide and has been active in WSI for many years working on the growth of such nanomaterials and the investigation of their fundamental properties. More information on the research topics for which he has received his prize can be found on the research pages of the nanowire subgroup of E24. The prize was presented by the President of the Bavarian Academy, Prof. Dr. Karl-Heinz Hoffmann as part of the annual general meeting of the academy in December 2015 (see photo). Join us in congratulating Gregor on this great recognition of the leading work performed by his group, his students and colleagues and wishing all a great start into 2016 ! 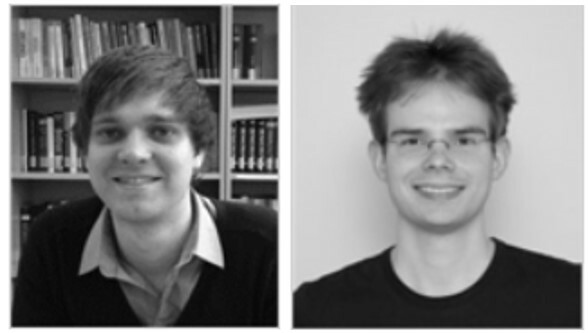 Two PhD students from WSI-TUM, Martin Hetzl and Julian Treu, were recently awarded with Best Poster Paper Awards at the international Nanowire Growth Workshop (NWG) and Nanowires-2015 Workshop in Barcelona, Spain (October 26-30). Martin Hetzl received a 1st prize Best Poster Award for his contribution entitled “Growth and electrical transport properties of GaN nanowire/diamond heterojunctions". Julian Treu was awarded 2nd prize Best Poster Award for his presentation on “Widely tunable InGaAs nanowire heterostructures and devices”. Martin Hetzl and Julian Treu are both Ph.D. students supervised by Prof. Martin Stutzmann and Dr. Gregor Koblmüller (Prof. Finley group) and are investigating growth, structure-property correlations, and advanced optical and electrical properties in III-V and nitride-based semiconductor nanowire systems in their Ph.D. thesis work. Julian Treu, PhD student at the Walter Schottky Institut and TUM Physics Department was awarded with the EMRS Graduate Student Award at the 32nd European Materials Research Symposium in Lille, France. The EMRS Meeting is one of the largest conferences in materials science worldwide with over 2000 participants annually. Based on an evaluation by international experts, his oral presentation entitled “Surface passivation and confinement in lattice-matched InGaAs-InAlAs core-shell nanowires was selected as the award winning contribution in the Symposium I “Semiconductor Nanostructures towards Electronic & Optoelectronic Device Applications”. Julian Treu is a Ph.D. student supervised by Dr. Gregor Koblmüller in the group of E24 and is investigating III-V semiconductor nanowires for photonic and light harvesting applications. His excellent contribution was recently also published in J. Treu, et al., Nano Letters 15, 3533 (2015). Two PhD students from WSI-TUM, Julian Treu and Benedikt Mayer, were recently awarded with Best Paper Student Awards. Julian Treu received the best student award at the 18th European Molecular Beam Epitaxy Workshop (Euro-MBE) in Canazei, Italy (March 15-18) for his oral presentation entitled “Growth and optical properties of composition-tuned InGaAs-based core-shell nanowire arrays”. In addition, Benedikt Mayer was awarded at the 582. WE Heraeus Seminar on “III-V Nanowire Photonics” in Bad Honnef, Germany (March 22-25) for his presentation on “Monolithically integrated GaAs-AlGaAs core-shell nanowire lasers on Silicon”. Julian Treu and Benedikt Mayer are both students in the Nanowire Group led by Dr. Gregor Koblmüller at the Semiconductor Quantum Nanosystems Chair (Prof. Finley) and are investigating growth, structure-property correlations, and advanced optical properties in III-V semiconductor nanowire systems in their Ph.D. thesis work. Topological insulators are an exceptional group of materials. Their interior acts as an insulator, but the surface conducts electricity extraordinarily well. The group of Alexander Holleitner could measure this now for the first time directly, with extremely high temporal resolution. In addition, they succeeded to influence the direction of the surface currents with a polarized laser beam. Artistic sketch of a polarized laser exciting surface currents in the topological insulator Bi2Se3, which is contacted by two gold electrodes. (c) nature.com and Cristoph Hohmann (NIM). Original publication: C. Kastl, C. Karnetzky, H. Karl, A.W. Holleitner "Ultrafast helicity control of surface currents in topological insulators with near-unity fidelity" Nature Comm. 6, 6617 (2015). 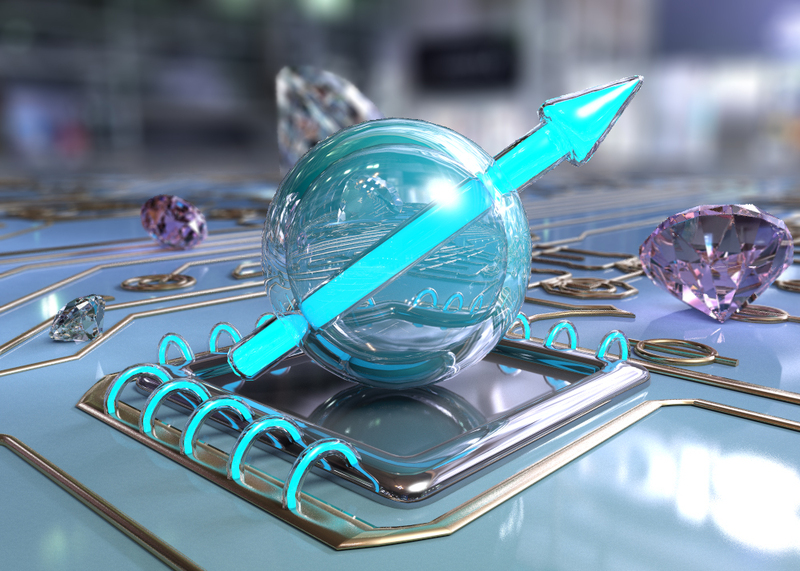 In a recent publication in Nature Nanotechnology, we demonstrate that the spin of nitrogen-vacancy centers in diamond can be electronically read-out using a graphene layer on a picosecond time-scale. Nitrogen-vacancy centers in diamonds could be used to construct vital components for quantum computers. But hitherto it has been impossible to read optically written information from such systems electronically. The work was led by the group of Alexander Holleitner in collaboration with Frank Koppens (ICFO, Barcelona). Original publication: A. Brenneis, L. Gaudreau, M. Seifert, H. Karl, M.S. Brandt, H. Huebl, J.A. Garrido, F.H.L. Koppens, and A.W. Holleitner "Ultrafast electronic read-out of diamond NV centres coupled to graphene" Nature Nanotechnology 10, 135 (2015). Nanoday at the Deutsches Museum ! „Nano – what does that mean exactly? How is it able to work on that tiny scale? What is the use of the research results?" You will get answers to these and many other questions at first hand by our scientists. At the information booths you can do a lot of nano-experiments yourself and in the stage program professors will explain their cutting edge research projects. The program is completed by the comedian Georg Eggers who presents science with a twinkle in his eye. This year on Saturday 22nd November 10:00-17:00 you will have the chance to experience the world of nanoscience by visiting the NanoDay 2014 at the Deutsches Museum in Munich - Entrance to the exhibit is entirely free ! A newly established Emmy-Noether research group has joined the WSI on the 1st of September 2014. Its research will focus on quantum sensors based on color centers in diamond and their application in life science, in particular nuclear magnetic resonance (NMR) spectroscopy of single biomolecules.The new group is led by Friedemann Reinhard, formerly a senior scientist in the lab of Prof. Dr. Jörg Wrachtrup at the University of Stuttgart. He has been at the forefront of research on diamond quantum sensors for several years, demonstrating among other results the first detection of NMR signals from a 5nm small sample volume. Friedemann and his group will join department E24 (Prof. Jonathan Finley). Funding for the group is provided by the Emmy-Noether program of the Deutsche Forschungsgesellgeschaft (DFG), a support program providing outstanding young scientists with an independent research group. All of us at the Walter Schottky Institut wish the new group a highly successful start and look forward to fruitful collaborations over the coming years ! 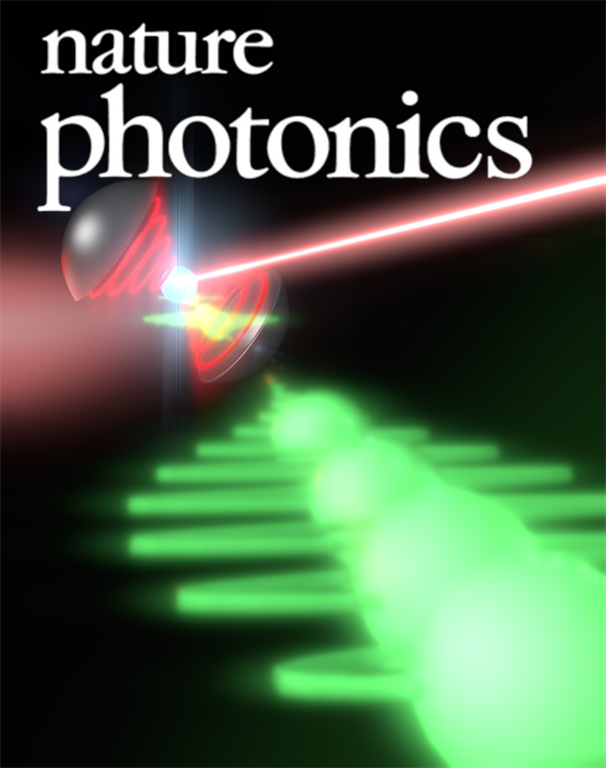 In a recent publication in Nature Photonics led by WSI alumnus Fabrice Laussy in collaboration with Jonathan Finley's group, we published a paper in which a quantum optical light source can emit optical energy strictly via "bundles" of curious N-photon quanta, where N can be any integer. Remarkably, what appears to be the simplest possible configuration in cavity quantum electrodynamics - a single-mode optical cavity containing a two-level system like a quantum dot - is capable of exhibiting a broad range of interesting, and even counter-intuitive behaviours when pumped with an external laser. Fabrice has written an excellent article on the art of photon buldling on his blog. 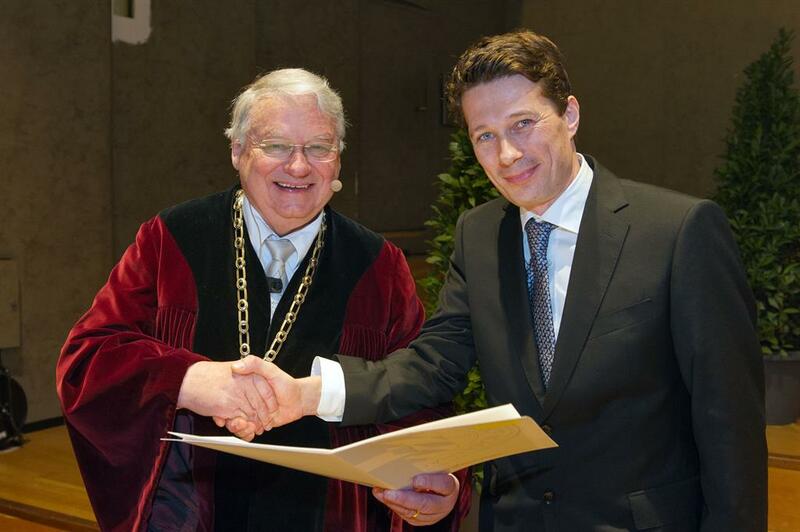 Bernhard Loitsch, Ph.D student at the Walter Schottky Institut, has received the prestigious IBM Ph.D Fellowship award. This award is an intensely competitive worldwide program, which recognizes the great potential of individual Ph.D. students in their very early career as well as the quality of the research institution in focus areas of interest to IBM. Dr. Heike Riel, IBM Fellow and Manager of the Nanoscale Electronics group at IBM Research – Zurich, will act as his mentor throughout this fellowship. The award aims to strengthen collaborations between IBM and the core research group of the awardee at WSI-TUM. It covers a $20.000 stipend for one academic year and can be renewed yearly. Bernhard Loitsch is a Ph.D. student supervised by Dr. Gregor Koblmüller and Prof. Jonathan Finley in the Quantum Nanomaterials Group of E24. He investigates the epitaxial growth of GaAs-based nanowire heterostructures as well as their optical and electrical properties. 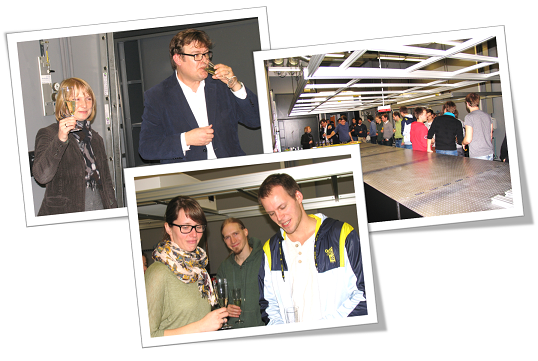 Official opening of E24 optics laboratories in the Walter Schottky Institut after renovation works! Recently, it was our great pleasure to welcome Dr. U. Kirste from the Bayerische Staatsministerium für Wissenschaft, Forschung und Kunst (Bavarian Science Ministry) during a visit to the group E24 of the Walter Schottky Institut. It was a great opportunity for Prof. Finley and colleagues to discuss current and future research activities. Moreover, after many months in which the first group of laboratories were renovated and prepared for new experiments, we could officially declare the optical laboratories "open" and drink a toast to our future successes ! The hard work building up the laser spectroscopy experiments has now begun, students and staff working tirelessly over the Christmas vacations - check back later in spring 2014 to see how we are getting along!